Us At ‘Cate Park’, Wolfeboro — 2016 (The Obligatory Once A Year Photo). 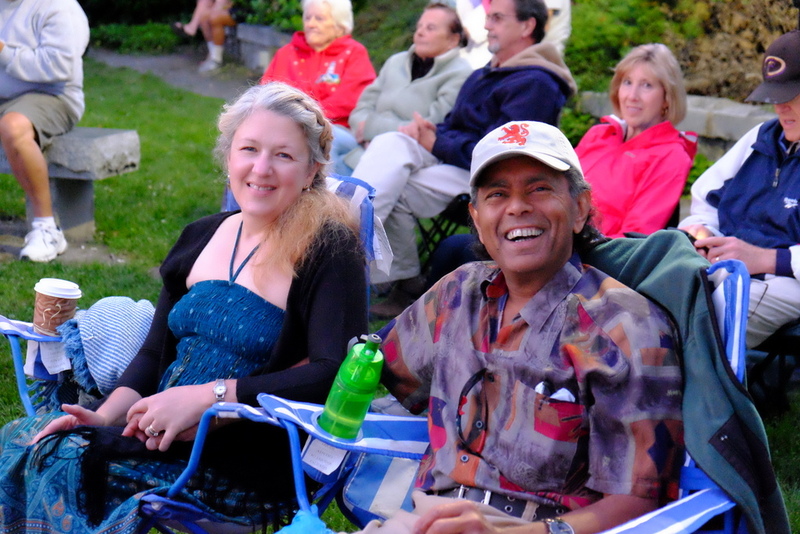 We have been going consistently to the Summer concerts at delightful ‘Cate Park‘, in Wolfeboro, New Hampshire, for quite a number of years now. On Saturday, July 2nd, 2016 it was to see our favorites “Annie and the Orphans” who we try never to miss when they are in Wolfeboro or Alton. Invariably while we are at Cate Park somebody either offers to take our picture or they take a picture with their camera and send it to us. This time a very kind lady, seated close by, asked whether we wanted our picture taken. We, of course, took her up. She used my Fuji X-E2s. On the way home it dawned on me that I was probably wearing the same shirt that I was wearing in another picture. I was right and that was the 2014 one. What can I say. I have a very limited wardrobe — not helped by the fact that of late I have been giving my shirts away (not to mention cameras, watches, gold bracelets … whatever). But at least I am wearing a different hat. Yes, we danced. We danced quite a bit — with each other. We also both danced, independently, with a 92-year old lady from South Carolina. Deanna has pictures of me dancing with that lady. I was getting coffee for Deanna when she danced so we don’t have pictures of her dancing — or for that matter us dancing. 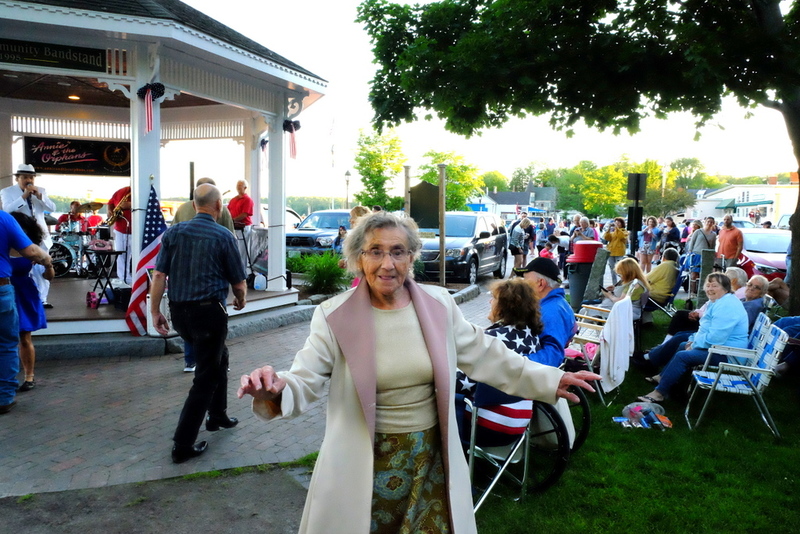 92-year old from South Carolina at the “Annie and the Orphans”, Cate Park, Wolfeboro, NH, concert. We both danced with her at separate times during the evening. She was neat. Us at ‘Cate Park’ in 2014 — July 5th also at an “Annie and the Orphans” concert! Déjà vu all over again especially since I am wearing the same exact outfit (a true testament to my limited wardrobe).